Well, shortly after I got WW, I found that the rear lights were rather dim. 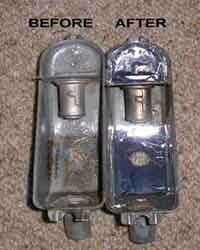 Investigation showed that the zinc plating had become somewhat tarnished, to a dull grey, with hints of rust. What to do? Clean and paint? This didn’t sit quite right with me. Being a couch potato, one night, with a packet of crisps to kill the boredom of watching the telly, I suddenly had this brainwave. 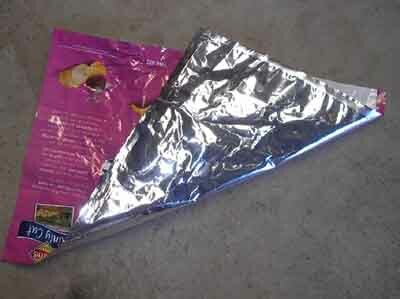 The crisp packet was a beautiful silver, inside. Why not stick bits into the reflectors of the lights? So, cut out some shapes, that sort of fitted the reflector shape and start gluing them in. One thing I found out pretty soon, was to NOT use a solvent glue, like Tarzan’s Grip. Not because it attacked the plastic packet, but because it didn’t dry and set. The metal can and the plastic stopped the solvent from evaporating. Removed the strips from the cans, cleaned the glue out and thought of how to glue those strips in. I have a dispenser of very thin double sided tape, which is more like a glue dispenser. 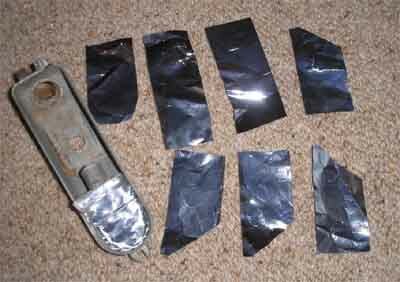 Anyway I used this on the strips and then fitted them into the reflectors, much better. The improvement in brightness was fantastic, one could even see the lights come on in the day. It is now many months since I did this, and I have waited this long to see what long term effects the heat from the globes may have on the stuck in strips. I’m glad to say that my check, a bit earlier on, showed absolutely no deterioration of the strips or glue.